Satisfying customers, generating financial returns and creating a great place to work are goals most organizations share. Independently, concepts such as Leadership Development, Balanced Scorecard and Lean Improvement can help organizations build the capabilities they need to achieve these goals. However, pursuing such “initiatives” in isolation leads to sub-optimized results. For example, how can an organization expect Lean Improvement to deliver meaningful results if the employees don’t know what drives customer satisfaction? Or, how will the organization know that a Lean Improvement program delivered lasting benefits if they don’t have a reliable way to measure operational effectiveness and efficiency? Over the last decade, the Integris team has studied how organizations execute change. Our findings show that the most successful efforts come when organizations consider and apply these “change concepts” in an interconnected and coordinated way. To help our clients optimize their efforts and deliver maximum ROI, we used our research to develop The Five Tenets of Integrated Performance Management (IPM)™. The Five Tenets of IPM™ provide the intersection for the some of the most powerful methodologies in use today, such as Strategic Planning, Leadership Development, Employee Engagement, Customer Satisfaction, Balanced Scorecard, Lean Six Sigma Improvement, and Change Management. The Five Tenets™ model, explained more fully below, gives organizations an effective framework for planning and executing the most successful transformational change efforts possible. Leadership does not rely on organizational titles or positions. Leadership depends only on having the skills, ability and motivation to inspire and engage others in the pursuit of shared objectives. Employees at every level – from the C-suite to the front line – can and should develop their ability to be leaders to those around them. 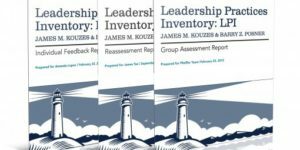 To effectively develop leaders and enable them to provide credible and effective leadership to their organizations, we utilize The Leadership Challenge®. Organizations that employ a variety of customer feedback mechanisms are able to accurately define what customers require from their products and services, and to measure how satisfied and engaged they are with the organization. By incorporating that knowledge into everything they do, organizations can craft the best possible experience for their customers. Organizations must clearly define and communicate what success is, and how it is measured. Goals and metrics must be aligned and interconnected, from the organization’s strategic plan down to departmental, team and individual levels. Doing so ensures that every employee – top to bottom – understands what the organization is looking to accomplish, and how their individual role contributes to the achievement of that vision. All work is a process. Over time – as organizations grow, employees change positions, and customer requirements evolve – processes tend to become less efficient. By proactively designing how work gets done, and by relentlessly pursuing continuous improvement, organizations can more effectively serve customers and more efficiently run the business. For most organizations, today’s capabilities will not be sufficient for achieving tomorrow’s goals. By defining the knowledge, skills, and attributes that are critical to future success, organizations can more effectively plan and manage their employee development, succession planning and talent acquisition activities.